LAS VEGAS, NV — During CES 2018 this week, Cooler Master announced that it’s coming to market in one of its new keyboards, the MK851 which features Aimpad's analog input technology. 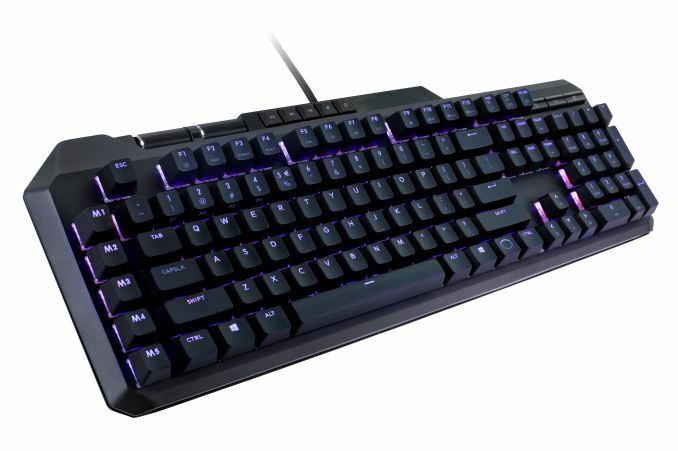 The new MasterKeys MK851 features the newly implemented analog input technology which is centered around eight specific analog keys, including the WASD keys. These keys are pressure sensitive, which give better control as opposed to the straightforward on/off motion switch on a traditional keyboard. An example would be in a driving game, the amount of pressure applied to the accelerator could be dependant on how hard the key has been pushed. Due to this, it allows users to have more control and make minor adjustments when taking things like corners. One major benefit is not having to repeatedly tap keys to make adjustments, these can be done via the amount of pressure applied to the key itself. "Traditional keyboards act like an on/off switch where keys are actuated then released. With Aimpad activated, the MK851 keys function like a gas pedal. The result is more control, especially when driving vehicles, making slight adjustments, or course corrections without having to continuously tap keys. Instead, press down slightly for smooth control." Putting it quite simply, instead of binary digital input (on/off), analog input gives you gradations of pressure which allows for a myriad of control throughout the total of a keypress. Due to the analog input technology on the MasterKeys MK851, this model is only available in Cherry MX Red switches, however, the MasterKeys MK850 does not have the Aimpad technology but to compensate this, this model will be available in Cherry MX blue and brown switch types. 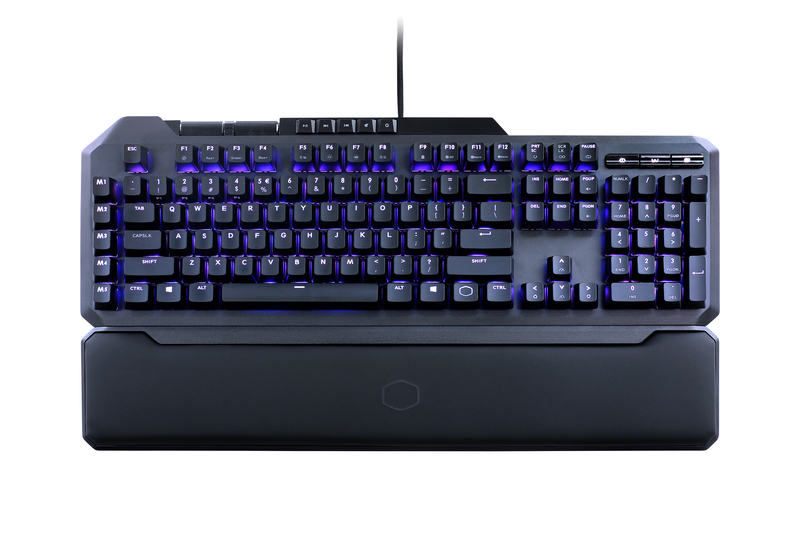 Currently, there is no word on pricing, but Cooler Master said in a release that they’ll launch in Q2 or Q3 of this year. Hopefully, we should have more details later this week at CES. Well he is not wrong. Take a look at Wooting. I don't know about quality and such because I haven't used it, but it is a TKL board, looks much simpler and has its optical "analog" switches in all keys. And you can switch switches. Oh man! Analog inputs for fine directional control! What a revolution! This is a great first step, but I wonder if we could iterate on this and improve it. Maybe add some sort of lever above the buttons to increase the travel so there's more precise control over the analog range. It'd also be pretty fun to use. It'd be awkward for typing, though. Probably better if this "joy stick" was a discrete module set to the side.